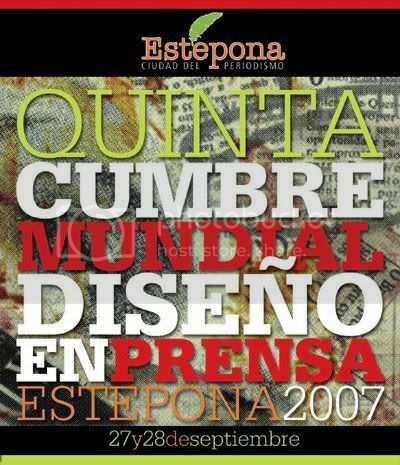 We have some more new lecturers names for the World Press Design Summit of Estepona. The list published on this blog days ago have new particants, as Paco Oca said on his blog Maquetadores.es. Names of great professional of high level, as Jordi Catalá, graphics editor of El Periódico de Catalunya, one of the most "risky" newspapers in Spain at the moment; Chico Amaral, from teh Barcelona office of Cases i Associats; Michel Gaffre of News Media; Lucie Lacava, who redesigned papers as La Presse, Toronto Star, Chicago Tribune or the last change of El País; and Mario tascón, General Director of Contents of PRISA digital mediaand one of the pioneers of infographics in Spain from El Mundo.